augustus 2007 | 118 blz. This book aims to offer an overview of the Romanian Industrial Relations Law emphasizing its particularities within the other European systems and the effects of the recent integration in European Union. 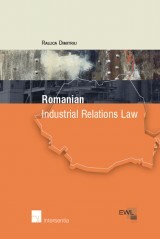 It is the first publication to offer a thorough discussion of Romanian industrial relations law.